Over the past few weeks, I’ve been dialoguing via email with a fellow creekfreak about the location of Arroyo San Pascual, which was/is in the Pasadena/San Marino/Alhambra area. I thought I’d post the maps that explain this location so that everyone can enjoy the info. For those wishing to cut to the chase – Arroyo San Pascual is the westernmost of the creeks, joining with Mill Creek to create Mission Creek (aka, I believe, Alhambra Wash) further downstream. To the east are smaller creeks, including one that once fed the pond (Kewen Lake) that has since been filled for, um, lawn, at Lacy Park in San Marino. Jane Tsong covered the topic of the arroyos and fascinating geology of this area in depth (here 1, 2) – so I’m going to stick to the maps. 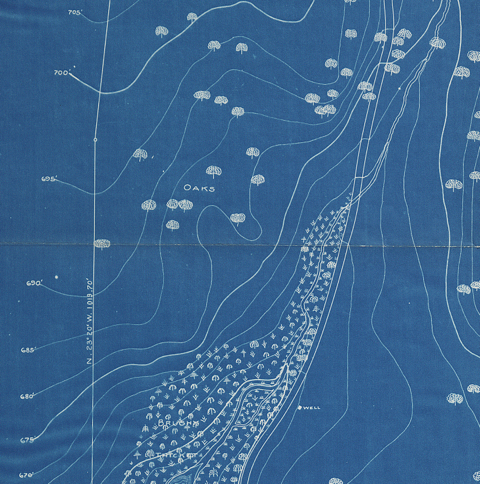 To the left, a federal survey from 1870 which actually gave us some creek names. (when I have a moment I’ll scan and post the entire survey so you can see the rest) To the right, a screen shot of the creek layer I created several years back in GIS, which when imported as kmz files in GoogleEarth has a standing flaw of being offset slightly. The discerning eye can see echoes of the historical streams in the treelines, shadows of terrain, (in)convenient siting of ball fields… correlation of course not being causation. The arrows are meant to call that out for you, imagine those blue lines shifted slightly to the left. Happy creekfreaking, if you get inspired to tour to the topography, let us know what you find out! We’ve touched on this before, but today is a day of blogger solidarity to protect Hahamongna in its current state. 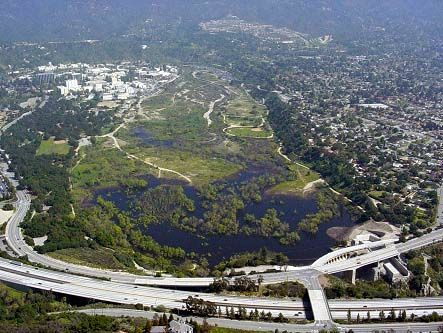 The Pasadena City Council will meet on Monday, July 12, to vote on whether or not to place soccer fields within this natural park that contains a now rare thing in the greater LA area: oak woodlands and riparian and wetland habitat. Aerial view of Hahamongna. 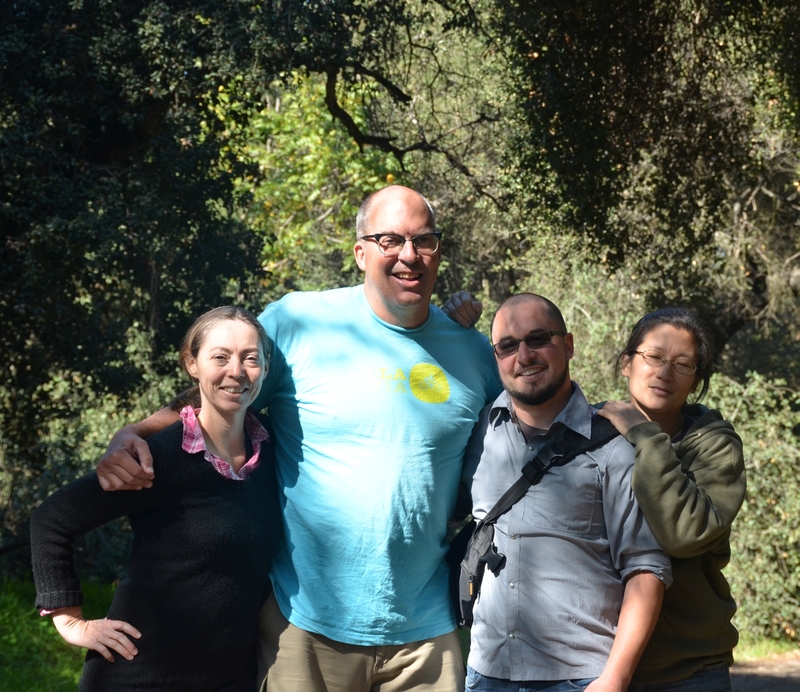 Photo from (and linked to) Arroyo Seco Foundation website. Once again, active recreation and our dwindling natural resources are being pitted against each other. This time, it’s at Hahamongna, a basin on the Arroyo Seco next to JPL. Devil’s Gate Dam holds back the Arroyo’s flows, infiltrating some of them into the Raymond Basin, the aquifer that supplies a lot of Pasadena’s water. 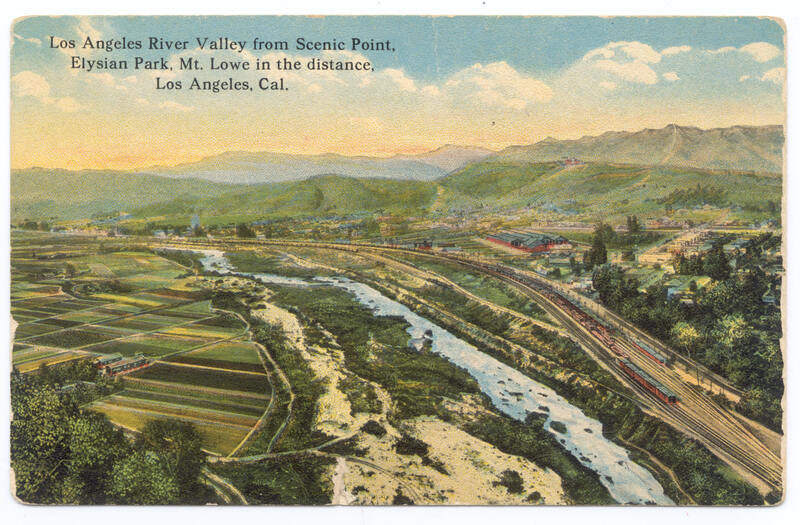 Above ground, wetlands and oak woodlands abound, a rare finger of habitat extending down from the San Gabriel Mountains. >The L.A. County Bicycle Master Plan Bicycle Advisory Committee meets tonight Thursday February 17th at 7pm at the Board Overflow Room at Metro. The county bike plan, which Creek Freak outlined here, includes bike paths along county-maintained rivers, washes and creeks. There’s also a series of ten county bike plan community meetings running February 22nd through March 25th, held in various locations all over the county. For more info on all these, go to the meeting page on the county’s bike plan website. County photo of the vacant under-freeway right-of-way along the Arroyo Seco. 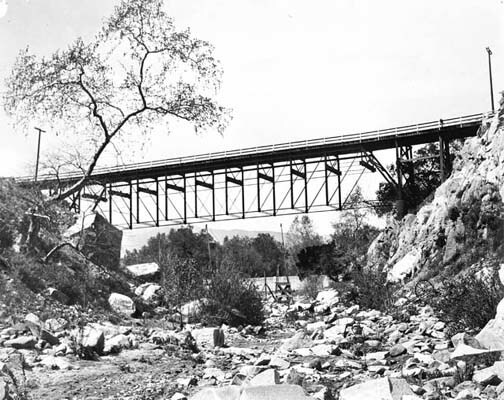 View is looking northeast toward Avenue 26, with the Arroyo Seco channel just out of the picture to the left. Avenue 26 is across the middle of the image with the Avenue 26 Bridge in middle left. Freeway ramp connecting southbound 110 to northbound 5 is on the right. >Same night as the Arroyo Seco meeting, the city of Glendale hosts a public input meeting for its Glendale Narrows River Walk project. It’s Thursday February 18th at 7pm at the Pacific Community Center. >C.I.C.L.E.’s creek freak bike ride is this Saturday February 20th, departing 12:30pm from the River Center. Rain cancels, and some is predicted for early Saturday – check the site that morning around 9am to confirm that the ride is on. >State Assembly Speaker Karen Bass hosts a Ballona Creek clean-up event on Sunday February 21st at 10am at Overland Avenue. > The city of Pasadena Bicycle Master Plan is also underway. The current draft proposes bike paths along the Arroyo Seco (near Jet Propulsion Laboratory) and along Eaton Wash (from Eaton Canyon Nature Center to the 210 Freeway.) Pasadena will hold a public input meeting on their draft plan on Tuesday February 23rd at 6:30pm at City Council Chambers. You are currently browsing entries tagged with Pasadena at L.A. Creek Freak.